Dubai airline Emirates is offering UAE passengers discounted rates to cities across its network. Offers to popular tourism destinations such as Seychelles, Venice and Bangkok applies to bookings made between February 5- 14 for travel until May 31, 2019. The offer extends to as well as cities in the Philippines and India. 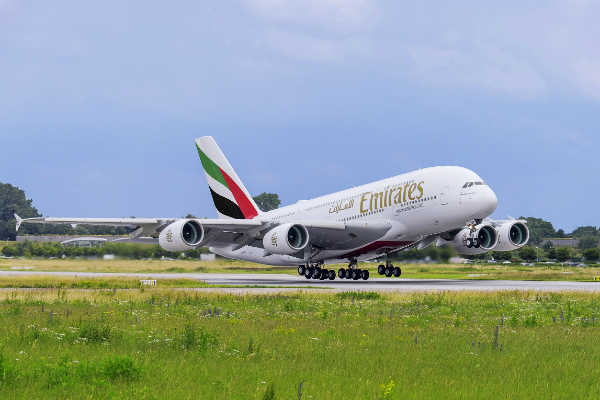 For those planning to travel the Philippines, Emirates is offering discounted rates to Cebu, Manila and Clark for bookings made between February 5- 28 for travel until May 25, 2019. Economy class passengers will also be offered additional baggage allowance of up to 40kgs to Cebu or Clark and up to 45kg when travelling to Manila. Meanwhile fares to three Indian cities have also been discounted for passengers booking from February 11- 18 for travel until May 31, 2019. Last month, the airline announced that it will be reducing the baggage allowance for some of its economy travellers from February 4. Under the changes, passengers booking Special or Saver tickets on economy will have their baggage allowance cut by 5kg with the new limit standing at 15kg and 25kg respectively. Originally, the ticket holders were allowed to check in 20kg (Special) and 30kg (Saver) of baggage. Those travelling by Flex and Flex Plus on economy will continue to have the 30kg and 35kg allowance, respectively. Passengers flying first and business class will also retain their baggage limits of 50kg and 40kg respectively. Hand luggage allowance will also remain the same at 7kg. Tickets issued before February 4 – for travel at any date – will still follow the former baggage allowance policy.